More than thirty years after the events of Humphrey’s First Christmas, Humphrey is at the back of a traveling caravan, thinking up ways to become the leader of the pack. As the caravan makes its way to Jerusalem, they witness Jesus entering the city. Humphrey is delighted to see Jesus, now a grown man, and remembers the child to whom he gave his blanket all those years ago in Bethlehem. 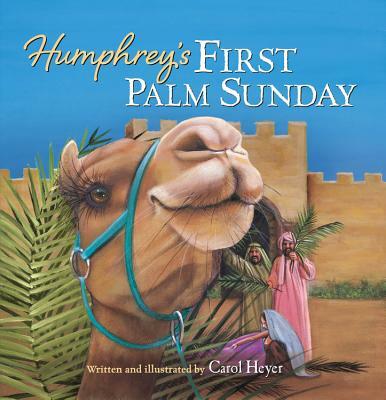 Beautiful and engaging, this book is a wonderful way to introduce the events of Palm Sunday.